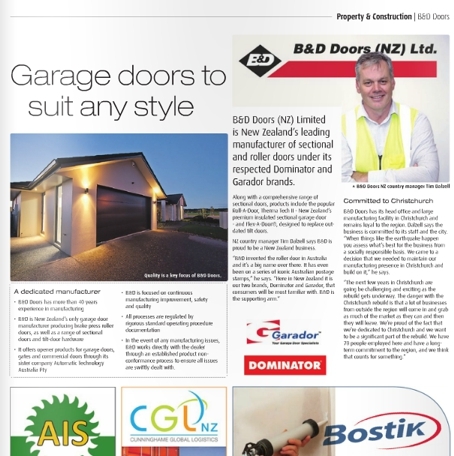 Those of you outside the Canterbury region will most likely have missed our feature in the June/July issue of Canterbury Today – you can read it below. Written prior to the signing of our new 10 year lease, we were limited on what we could say about our future in Christchurch so it is great to be able to read the article with knowledge of our firm commitment to staff and the local community. Thank you to the following local and national suppliers who were involved in the article and who continue to support us as our journey encompasses the new premises in Hornby. We look forward to strengthening our relationships with suppliers and customers alike as the building sector here in New Zealand shows signs of gathering momentum.